I can't believe it's already April...and I know I say that every month (not the April part, the new month part). I guess that's how all of a sudden you have an 18 year old son, when it seems like he was just born. I just don't know how that happened! 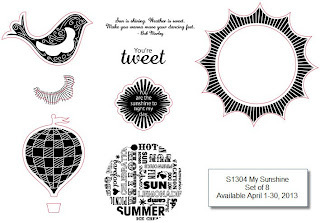 Well, it's time for the April Stamp of the Month Blog Hop! Have you seen the stamp set? 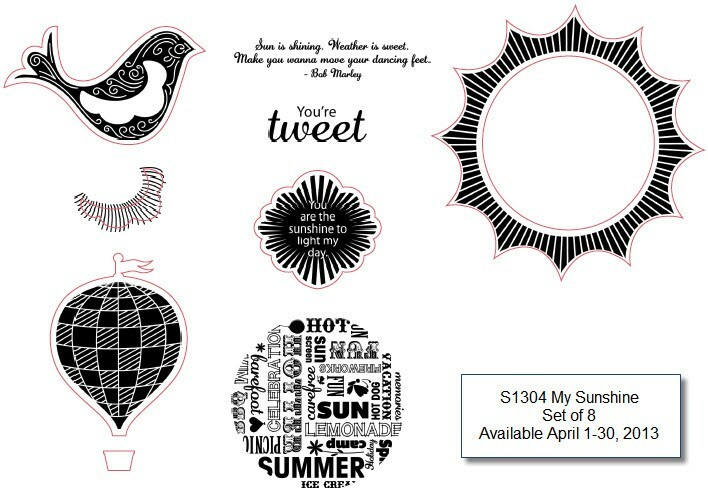 It's called MY SUNSHINE and is only available this month. If you've arrived here from Kami's Blog, Welcome! My son's birthday was this weekend. I made some banners with the Circut Art Philosophy cartridge. I really love that font that they have in there. It was really fun making the letters and flags. I even got a chance to use the "Real Dial" setting on the numbers (because the number "1" is annoyingly small). The papers on the flags are not CTMH, but everything else is. I used the 'sun' outline to call attention to my son's face. Then I put a bunch of Sparkle Gems around it. I also used the Baker's Twine on the banners. I also made some of the hot air balloons for the page. They're pretty fun. I can't wait to see what everyone else has done with this stamp set! 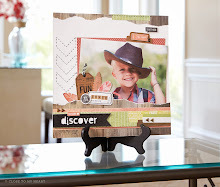 Now it's time to hop along to Erin's Blog to see what beautiful work she has to show you!